If you are a fan of bodybuilding, regardless of whether you are just a beginner or a somewhat seasoned amateur, chances are, you often get inspiration from various men’s health magazines that are so available on the market. On the pages of those magazines you can come across numerous training programs and dietary plans that supposedly will allow you to look like the guy from the front page. While most of those recommendations can be quite useful, they will never get you the results that professional bodybuilders achieve. This is not an attempt to demotivate you – it is the simple truth. Most people are used to thinking that bodybuilding will allow them to gain enormous muscles through training and they often forget that bodybuilding is first and foremost a sport. Like every sporting activity, bodybuilding has its champions and professional sportsmen, who cannot be rivaled by mere mortals. Just look at that this way – you can learn boxing with a personal trainer and you can even be very good at it, but you cannot hope to be as good as Mike Tyson. Furthermore, the vast majority of boxers can only hope to be like Mike Tyson, but will never reach these results. This is not because they cannot handle what he does. They can train like Mike Tyson, they can eat like him, they can spend as much time boxing as he did, but the results will still be far less satisfactory. Bodybuilding is no different – when we look at all those men on the pages of magazines, we are led to believe that we can become just like them. They tell us what to eat, how to train and promise to have muscled body in no time at all. 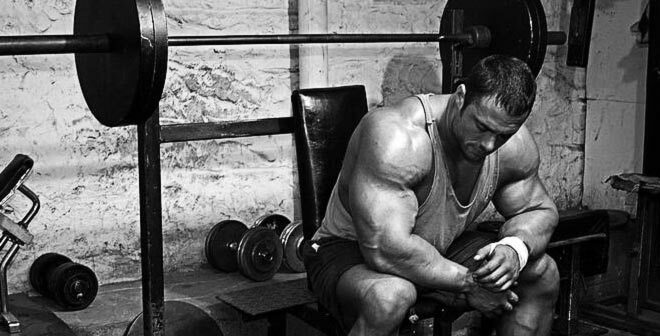 It is one of the most popular bodybuilding myths. Professional bodybuilders are genetically fit for their kind of bodies – their systems are very much different from ours – they are much more resilient and, most importantly, they often ingest various steroids in order to boost their performance. This is true for the majority of bodybuilders, whom you can see on the pages of your magazines. It is not necessarily bad – just do not hope that you will achieve the same results and be more realistic – concentrate on your own body’s needs and train as hard as it allows you to. This way, you will be able to achieve the best results you can.